New Years Eve is one of the most, if not the most popular night of the year for people of all ages to go out and celebrate with family and friends. It’s a night of good cheer, anticipation of what’s to come in the new year and hopefully a little bubbly to toast the close of the year! If you are hoping to head into New York City to ring in the New Year, we’ve put together a list of some of the most popular events and parties happening in the city that never sleeps. 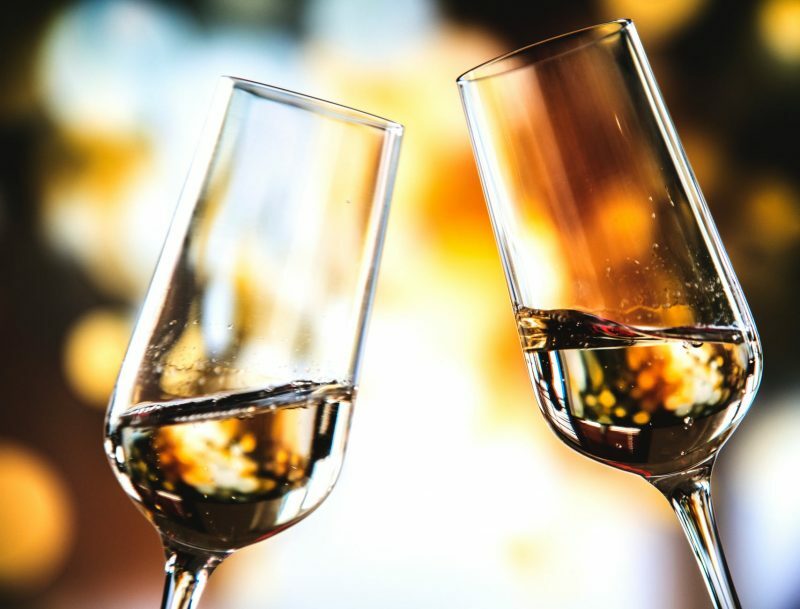 If you are planning to go out and celebrate this year, book a party bus or limo to take your group to your New Year’s Eve celebration in style. Not only is this the safer option, allowing you to indulge throughout the night, but it will make your evening feel even more extravagant! Here are 10 of the hottest New Years Eve celebrations in New York City! Probably the most sought after event in New York City, this is the Official VIP Party for New Years Eve Rockin’ Eve with host Ryan Seacrest. The packages include 5 hours of premium open bar plus passed appetizers and a buffet. Additionally the event includes many sponsored giveaways and much more! This is New York City’s number one luxury event for ringing in the new year! 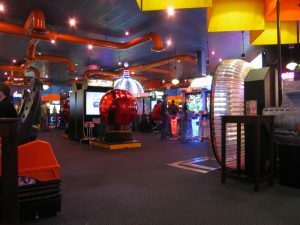 Though there isn’t a direct view of the ball dropping from this location, the restaurant will have live televised streaming all night long so you will be a part of all the excitement of the evening. The pricing is per person and includes both tax & service charges. They also offer bottle service and a la carte beverages as well as, unlimited premium open bar packages when purchased with a dinner package. Why party at one location when you can take the party all over New York City? 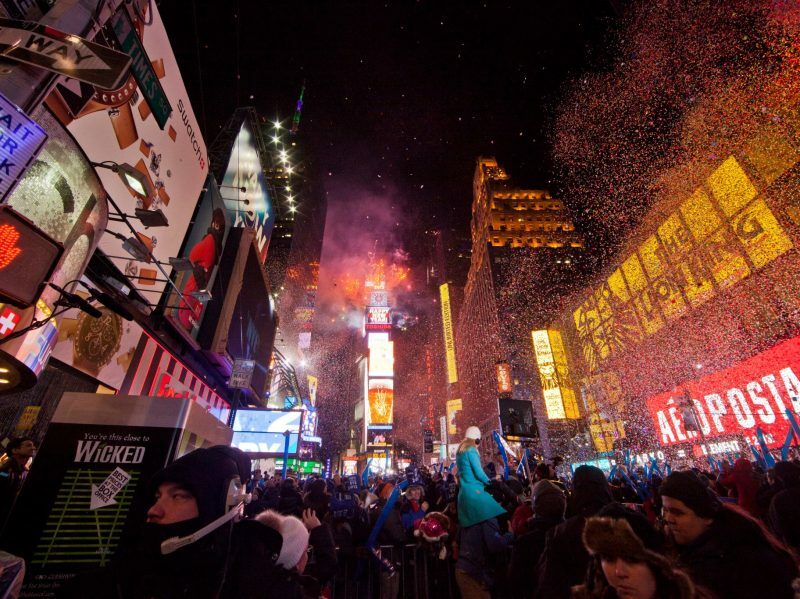 With the Times Square BallDrop Pass you will be admitted to some of the hottest NYE parties including Frames, BB King Nightclub, NY Beer Co., House of Brews, Bowlmor and Guy’s American. You will get free food and drinks and dance the night away to a DJ at every location. This event is open to people of all ages and is a great way to ring in the New Year with your entire family. The night will be filled with music, dancing, drinks, and of course games! Guests over the age of 21 will enjoy an open bar all night and everyone will enjoy delicious food from their buffet. You won’t find a better seat to see New Years Eve fireworks than aboard the Atlantis Yacht. Enjoy premium unlimited drinks and tasty passed hors d’oeuvres and a delicious buffet at this Black Tie optional event with your spouse or friends. Located right in the heart of Times Square this event is one the entire family can enjoy. 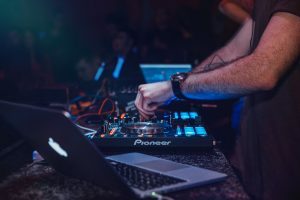 Or grab a group of your friends and celebrate at this world famous restaurant dancing the night away while enjoying great food and drinks from their open bar, you’ll even experience some exciting celebrity sightings! This event is considered to be one of the best New Years Eve rooftop parties in Times Square. They have live DJs spinning on all three floors, a live broadcast of the ball dropping, delicious food, premium open bar, party favors and a champagne toast at midnight. Plus – the party doesn’t stop at midnight, you can party in the early hours of the morning if you’d like! Whether you are planning a night out with the family, a group of friends or a romantic night out for two the New Years Eve celebration at AMC 42nd Street is the perfect place to celebrate. You’ll get awesome views of the ball drop, open bar, a live DJ spinning top 40 hits, delicious food, champagne toast at midnight and of course movies which will be playing all night long! Besides the open bar, delicious food and dancing to a live DJ what sets this party apart from the rest is the fact that they end the night by offering guests a breakfast buffet starting at 1am! Bryant Park Grill, is the perfect setting for an elegant NYE celebration. Plus it’s just one block away from the Times Square Ball Drop! Ring in the New Year at a famed NYC Italian restaurant. Bring your loved one, friends or your entire family to enjoy an authentic family style dinner, open bar and champagne toast at midnight while celebrating the upcoming year.